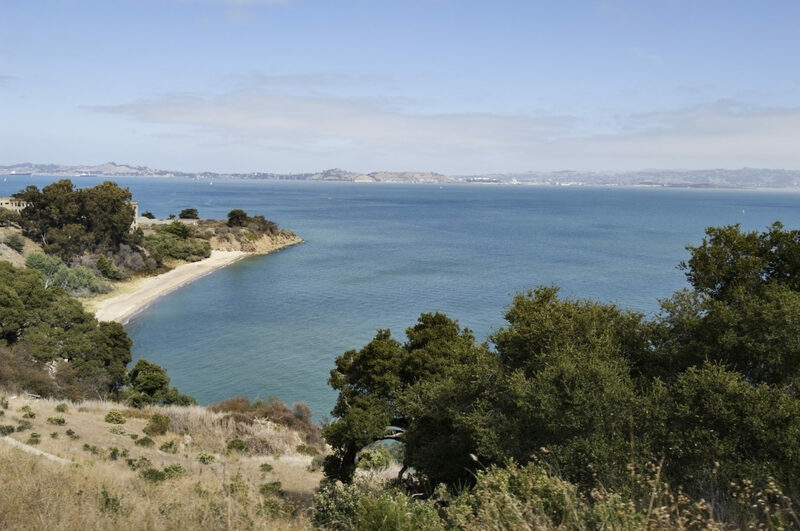 Alcatraz may be San Francisco’s best-known island, but Angel Island is equally accessible, much less visited and has even more activities to do with kids. On a recent visit to San Francisco with my tween son Aidan, we took a ferry across the Bay, enjoying cool breezes and gorgeous views of the city skyline while we headed to a nearby island to learn about a unique chapter in West Coast history. But we didn’t go to Alcatraz. Surprised? So was I. 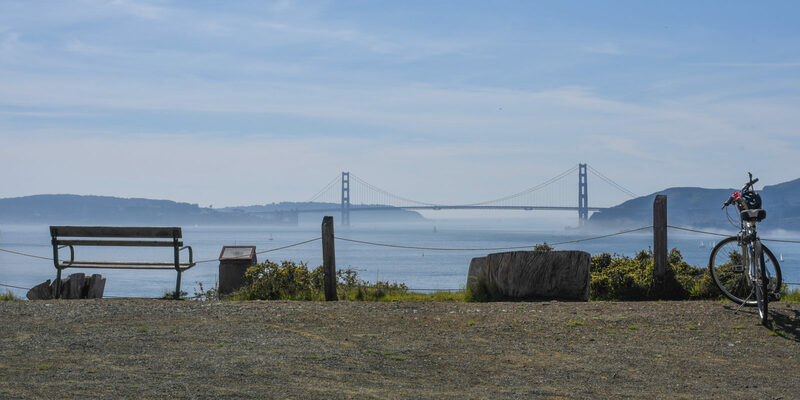 Although I had visited San Francisco several times, it wasn’t until my last trip that I discovered Angel Island State Park, a lovely oasis in the Pacific offering a perfect day of outdoor adventures for families. Full disclosure: I didn’t buy tickets to Alcatraz before my trip to San Francisco. And without advance tickets in hand for the perennially popular penal colony, there was no way during the busy summer season to visit the prison island. Luckily, my family had other plans in mind when we headed to the ferry pier at Fisherman’s Wharf. Friends had told us about Angel Island, a California state park three times the size of Alcatraz. The park features plenty of outdoor space where kids can play and parents can relax, plus a fascinating history to explore. And this hidden gem island turned out to be a revelation hiding in plain sight. Stepping onto the island after a relaxing 25-minute ferry ride across the Bay, we felt like we had stepped into another season, and destination, altogether. Gone were the crowds and congestion of San Francisco in the summer; instead, wide open spaces greeted us. Great groves of towering trees provided shaded picnic grounds. It was like taking a vacation from our city vacation. Stop at Boudin Bakery at Fisherman’s Wharf before you embark on the ferry for a local San Francisco favorite: sourdough bread and picnic fixings. 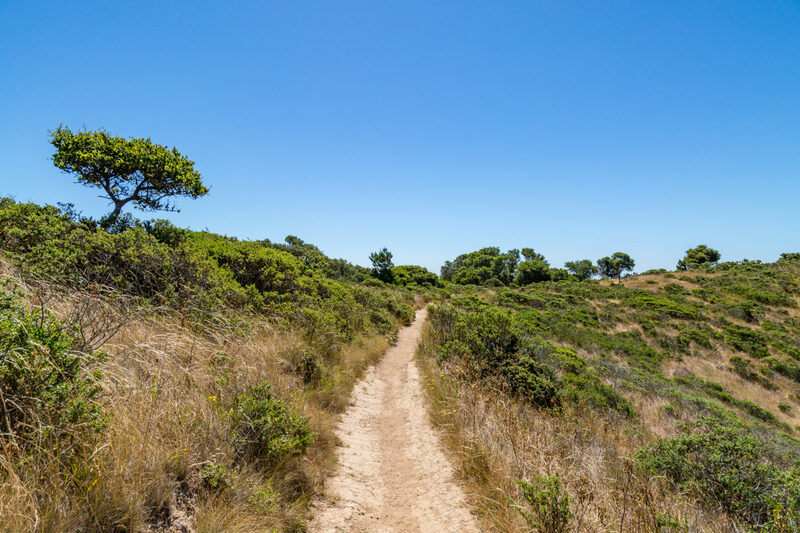 The island boasts 12 miles of trails to explore on foot or bike (there’s a bicycle rental shop where you exit the ferry). But we decided to give our legs a rest and took the scenic tram tour around the island. The narrated, hour-long ride was a highlight of our vacation. As we circled the island, a guide shared background information on nearby historic military buildings dating back to the Civil War and World War II (the island once served as a military base to protect the coast in case of attack). We also saw an immigration station known as the “Ellis Island of the West.” The building once housed detained Chinese immigrants in the early 1900s, and now contains a new museum exploring this oft-overlooked history. During the tram ride, we enjoyed taking in views of the rugged, sand-covered shore. The island’s coastline actually looks just like the South of France (no, really! ), with stands of cypress and eucalyptus trees hugging the beaches. The tram offers several stops for riders to get out and take photos, including our favorite Bay Area photo op: The entire skyline of San Francisco, the Golden Gate Bridge and yes, Alcatraz, spread out in one perfect picture. We goofed around taking selfies with Aidan trying to position his hands to look like he was a holding up the bridge — a popular pose for most of the kids we met. After our tram tour, Aidan and I sat in a shady grove and dug into a picnic lunch. After we ate, my son and a bunch of other children started up a pick-up game of “frog ball” (baseball using just sticks and pine cones). 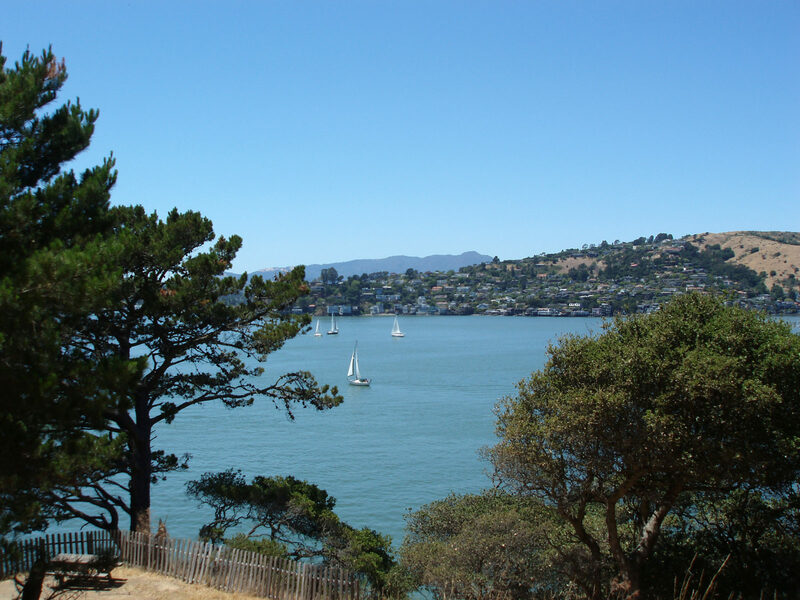 As we watched the sailboats headed to the chic enclave of Tiburon, and the ferries gliding over the water, I marveled at how lucky we were to have missed that more “famous” island and discover this hidden haven of green in the San Francisco Bay. 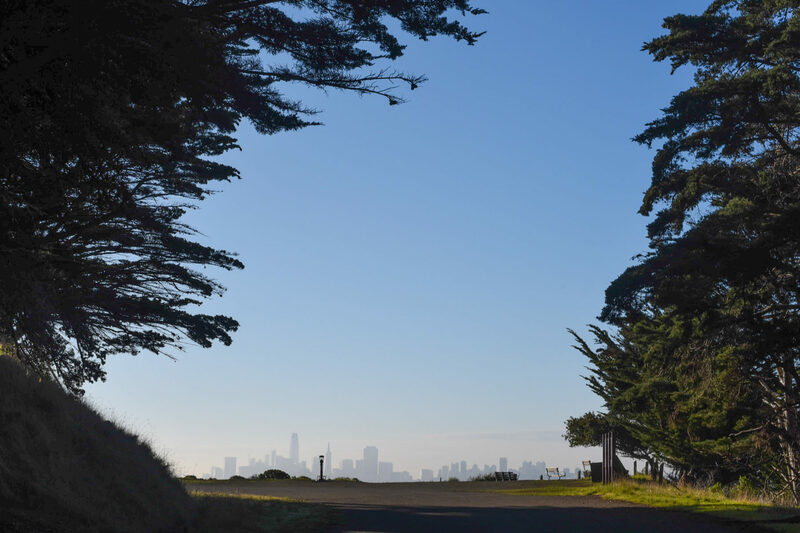 Pack a bag and plan to spend the day: Angel Island offers sandy beaches, hiking trails, bike rentals and even Segue tours, in addition to the tram around the island.